You are currently browsing the Bringing Jerry Zimmer Home blog archives for February, 2010. 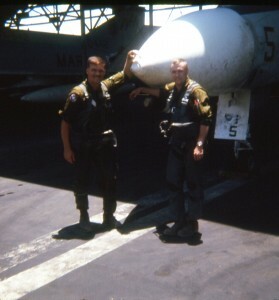 Last known photo of Capt Jerry Zimmer, USMC, & 1st Lt Al Graf, USMC, before their F4 Phantom was shot down, Aug 29, 1969. Joe Kristek is a long-time member of the Vietnam Veterans of America (VVA) organization of North Carolina where he now lives with his family; however, as a youth, Joe attended Vestal High School in upstate New York with Jerry and has been an ongoing supporter of recovery efforts. Joe retrieved a DNA sample several years ago from Jerry’s mom, and because of him, we have mitochondrial evidence on file, should Jerry’s remains be found. Interestingly, I am prepared for whatever happens — even if the remains of my first husband, Capt Jerry A Zimmer, are not retrieved but, instead, JPAC finds those of his RIO, 1st Lt Al Graf. I have not said a lot about Al, because it’s difficult to maintain a blog for two people; yet, I have always felt that we’re looking for two people — Jerry and Al. What makes us feel that remains are likely to be found is that our investigation concluded the following: When the aircraft hit the flat-top mountain, we believe that the cockpit section separated from the rest of the fuselage and ended up at a lower level, causing a crater. We also believe that the major burnout of Napalm, bombs and fuel occurred at the impact point, approx. 100 meters above. 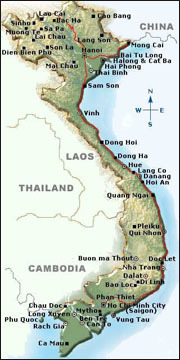 Plus, there is a possibility that some remains were buried by locals years ago, as has been the case at other sites in Vietnam. But the more important thing about recovery of remains 40 years later — and many more years for WWII casualties — is that digging, sifting, metal detection, etc, are some of the techniques used by excavation experts. 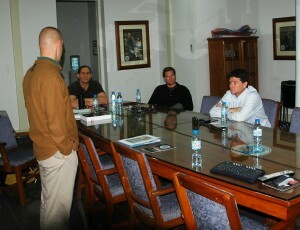 Moreover, the leaders often have backgrounds in anthropology and archaeology along with other skills. (See JPAC at “Articles and Links” to learn more). Repatriation of Jerry’s Remains — What’s Taking So Long? If you’re wondering why it has taken 40 years to bring Jerry’s case to the table, here is a short history lesson: Following the Paris Peace Accord of ’73, America withdrew its troops from Vietnam, leaving behind approx 1,500 POW/MIA. Recently, I found a 1985 Document online, indicating that Jerry’s site was considered probable for “further investigation and possibly excavation,” but its validity wasn’t tested at the time because our relationship with Vietnam was still on shaky ground. In 1993, JPACs predecessor — the Joint Task Force Full Accounting (JTFA) — was permitted to do a major survey of all the known sites associated with our missing servicemen in Vietnam. However, when JTFA visited the area believed to be Jerry’s crash site, they were directed to the outer edge of the debris field at the bottom of a 400 meter mountain, instead of the actual impact site at the top. Given what they saw, the team assumed that all evidence had been washed away and, consequently, placed the case in the “No Further Pursuit” category. However, had they gone up the mountain, it is likely that Jerry’s case could have been resolved 16 years ago. On the other hand, I do have a better appreciation of how difficult JTFAs job was two decades ago, because the relationship between Vietnam and America is still a work-in-progress in 2010. Our family literally stumbled on a discrepancy in the crash site coordinates that led us on a journey to find Jerry’s site — little did we know that we would also find actual pieces of his aircraft, 40 years later. And rather than vilifying the government for a shoddy investigation, our family went after the facts doing good old-fashioned footwork in Vietnam with friends and locals; networking with Marines to better pinpoint the crash site; getting the word out through the media; and conducting online research to better understand everything else. Armed with a 36-page powerpoint presentation put together by my husband, Ron, we delivered the goods to JPAC, and they responded positively to our well-researched investigation. And while we haven’t brought Jerry’s remains home yet, we are a lot closer than we were 40 years ago.